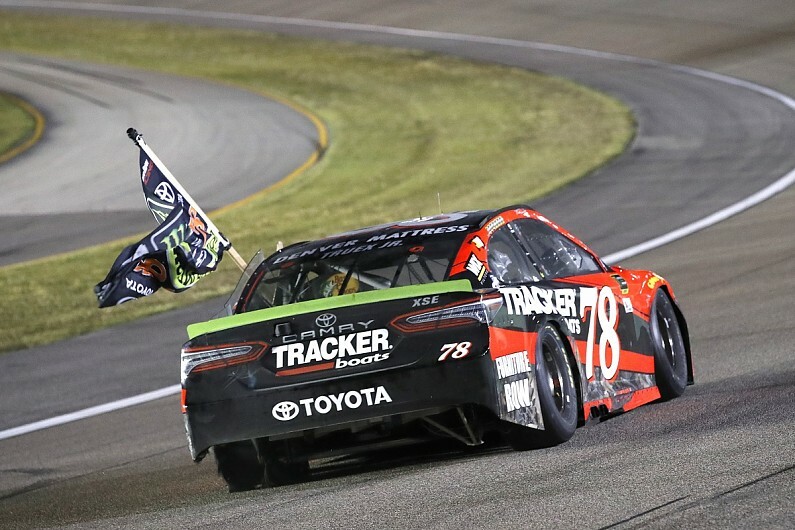 The now-defunct Furniture Row Racing team that ran Martin Truex Jr to the 2017 NASCAR Cup series title has had its charter bought ahead of the ’19 season. The charter, which guarantees entry and the right to prize money, has been bought by the Spire Sports + Entertainment company, which has clients in NASCAR including Chip Ganassi Racing driver Kyle Larson. Furniture Row closed its doors at the end of this year’s campaign, and Truex will move to fellow Toyota-aligned team Joe Gibbs Racing for 2019. Former team owner Barney Visser made the call to close the outfit after the loss of key sponsors, and some of the squad’s staff have switched to work for Visser’s furniture company. The Furniture Row charter is one of the most valuable in NASCAR because its worth is decided by the previous three seasons of competition. The team’s record in that spell includes a title and a runner-up finish. According to NBC Sports, the new team will run Chevrolets and its new car number will be #77 under the ownership of Spire founders Jeff Dickerson and TJ Puchyr. Further details, such as drivers and sponsorship, have yet to be confirmed. NASCAR does not reveal the value of charter deals, although the collapse of BK Racing and the subsequent acquisition of its charter by Front Row revealed it was worth $2million. There are 36 charters in the NASCAR Cup series, which employs a franchise system that was brought in to eradicate the potential for start-and-park entries – which run minimal laps for a fraction of money by avoiding expenses such as sets of tyres.